Over 40 years collecting coins between us. Significant B2B experience in promotional, gift, collectible and retail industries. Passion for designing custom products to match clients needs. Please call for a free appraisal! At The Matthew Mint, our passion is genuine coins. We offer coins & currency to our many customers and enthusiasts both in the U.S. and overseas. We offer a wide variety of single coins and also very well‐designed and attractively packaged coin sets. In addition to supplying coins for consumers, we also offer many custom‐enhanced coins and custom coin products for event or promotional needs. The Matthew Mint has the unique ability to custom‐ enhance coins and currency with a wide variety of distinctive finishes. There is no limit to the amount of custom products possible. 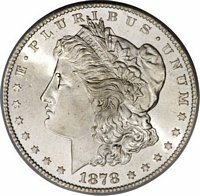 Coins are true collectibles, the general population considers coins valuable and they can be presented and packaged in a wide variety of ways that are significant to most people. The Matthew Mint sells gold, silver and promotional coins nationwide.